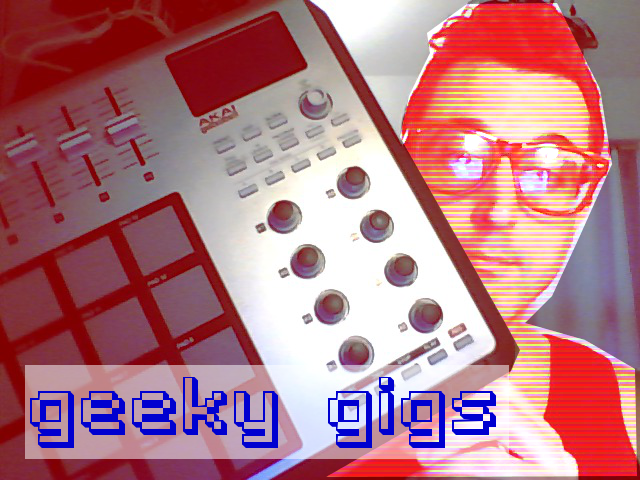 If you haven’t seen my Geeky Gigs web show, please check it out. Above is a playlist of all my geeky gigs so far. These are all solo performance videos of me playing several different pieces of equipment and software. I spend some time playing drums to the Korg M01D on Nintendo 3DS, explore Vocaloid in a song with live drums and Megpoid GUMI, and show you some ways to use the Korg Nano series midi controllers live! Next, I’ll be exploring possibilites of the Akai MPD 24 midi pad controller in the latest Episode of Geeky Gigs scheduled for this Sunday! I try to keep them entertaining and fun to watch, and new episodes come out just about every other Sunday. This entry was posted in Demos, Electronic Music, Entertainment, My Music and tagged 8bit music, chiptunes, dj tools, drummer videos, energyxt, finger drumming, geeky gigs, Hatsune Miku, justin wierbonski, Korg M01D, korg nanoKONTROL, korg nanopad, live dj performance youtube, live performance, Megpoid Gumi, morgantown band, nerd music, nintendo 3ds, pad controllers, vocaloid, web show, wierbonski drummer on April 2, 2015 by DemonicSweaters.